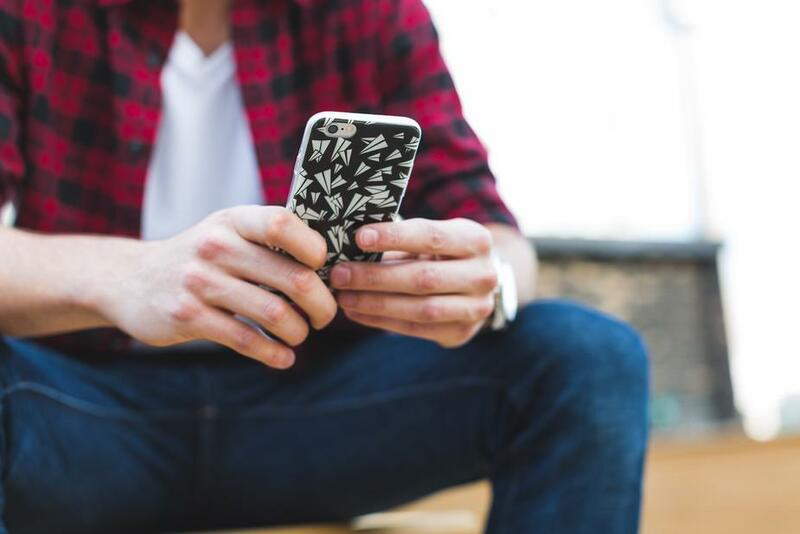 Are you promoting the phone number for your business? 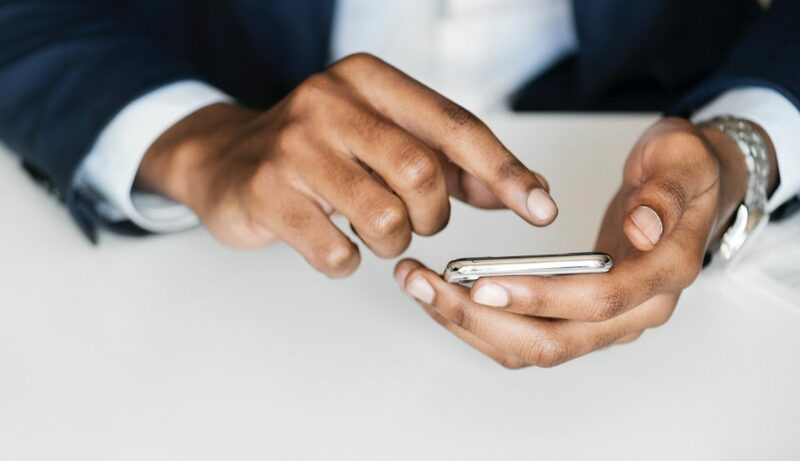 If your business connects with customers over the phone, you need to be tracking your inbound calls. With inbound call tracking, businesses and marketers can gain deep granular insights into which sources are generating the most calls. Many businesses advertise their phone number on websites, social media, directories and even using offline methods like print, tv and radio. But how are you tracking if those phone numbers are converting callers into customers? 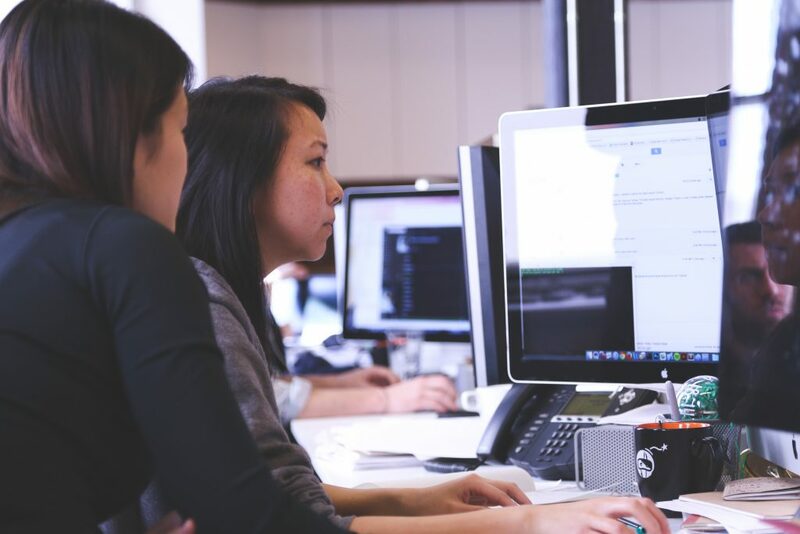 The only way for your business to effectively track, manage and report on inbound calls is with inbound call tracking software — just like Ringba! Manage phone numbers – Create local and toll-free phone numbers to track your call marketing campaigns and route your call traffic to target destinations. Track the source of inbound calls – Call Tracking gives you access to granular insights about your marketing efforts and allows you to see exactly where they clicked to call. Figure out what is working – With detailed analytics and reports about your call traffic, you can optimize your campaigns and improve your caller experience to earn more per call. Manage call routing and forwarding – When a customer makes a call to your tracking number, the call is automatically routed and forwarded to the most optimal target. Record phone conversations – Listen to how calls are being serviced and monitor agent performance. View reports and optimize in real-time – View reports, dig into call logs and optimize your campaigns using real-time data about you calls. 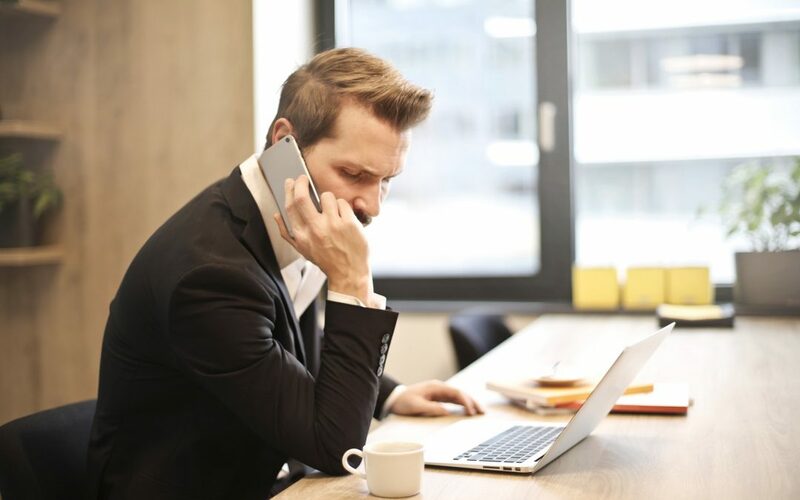 Inbound Call Tracking gives your business the ability to connect online activities with offline activities and offers powerful insights and information about your callers. This gives you the ability to understand your target audience like never before and optimize your marketing efforts to provide a better experience and improve your ROI. Ringba is the ultimate call tracking and analytics platform for tracking your inbound calls and running call marketing campaigns. 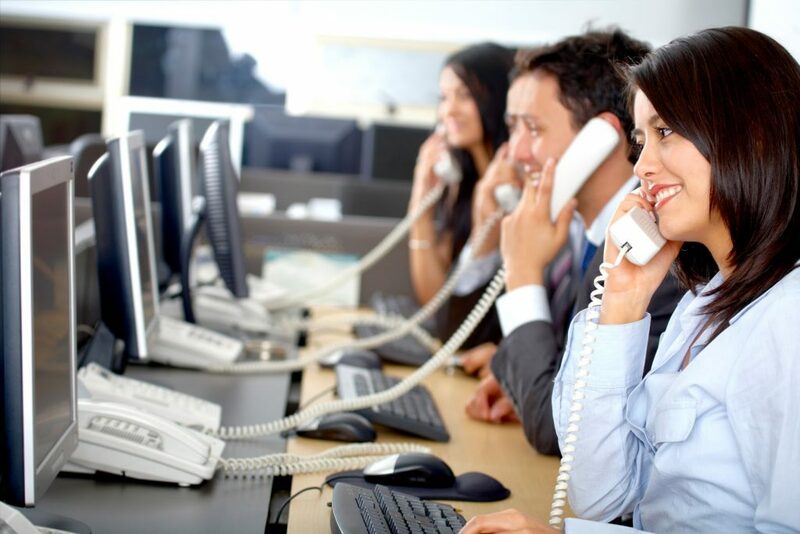 Our software provides everything you need to track your calls and optimize your call marketing campaigns. After you sign up for an account, you will be to the campaign setup where you can create your first call tracking campaign. Your first step is to create a new campaign and select your country. A “Target” is the destination where the call will be forwarded to. When someone calls your Tracking Number, Ringba will automatically route the call to your Target and provide detailed analytics about the call. That’s it! 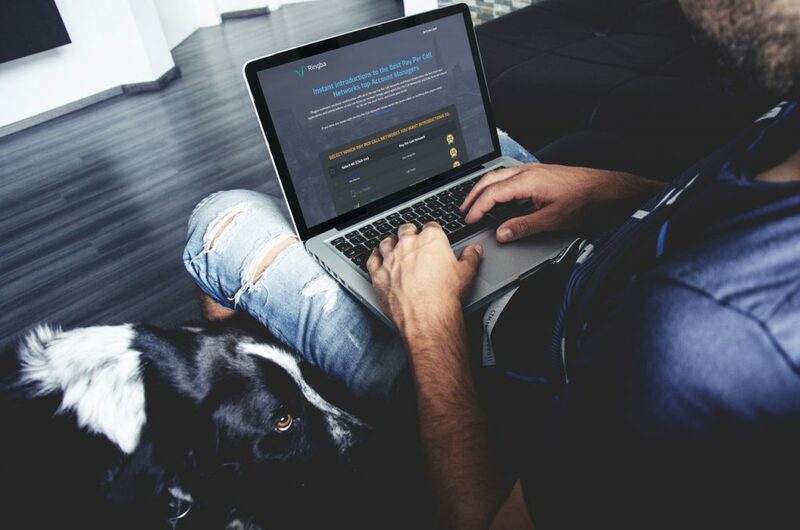 You’re inbound call tracking campaign has been created! 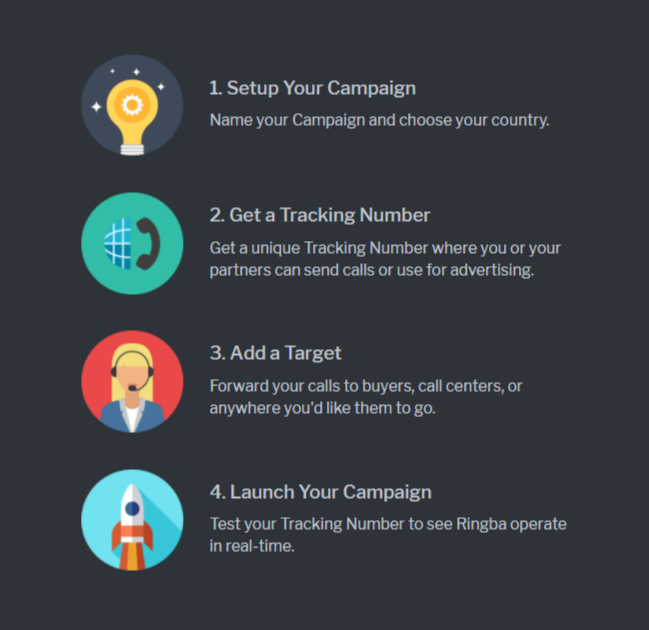 Test your campaign by calling your Tracking Number and see Ringba work its magic in real-time.